Villa "Christina" is located 10 minutes walk from the beach, is a harmonious architectural complex, surrounded by exotic vegetation. The building of the villa has 3 floors, with each floor has its own entrance. 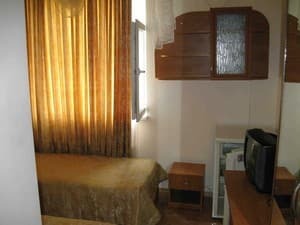 All rooms are equipped with air conditioning, there is also satellite TV, refrigerator, kitchen utensils. 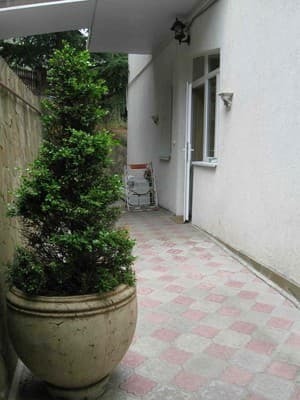 For greater convenience, each floor has a separate exit to the courtyard. 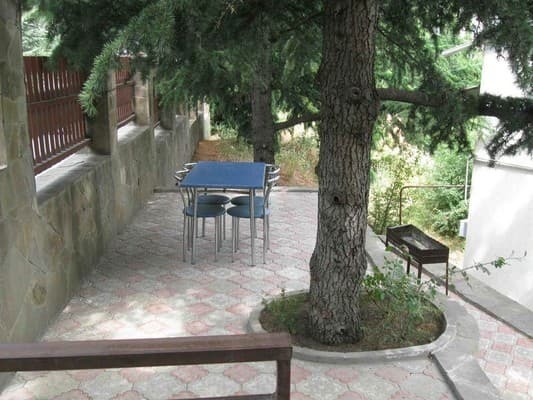 Villa "Christina" boasts a convenient location and well-developed infrastructure. 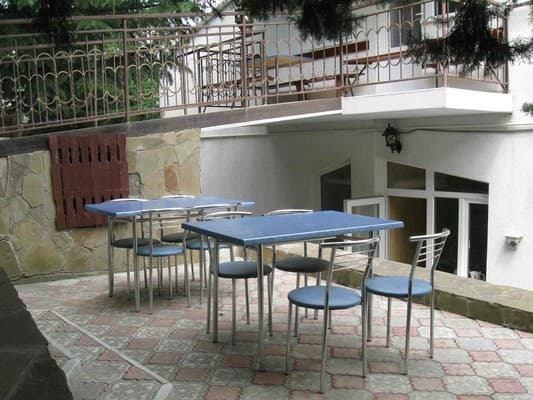 Nearby there is a stop, which leads to the picturesque place of Alushta - the Professor's Corner. 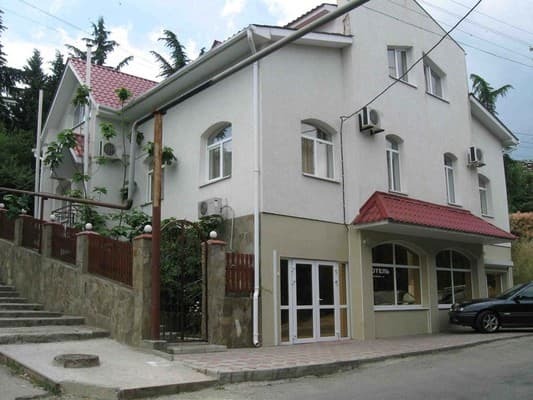 Villa "Christina" is located close to all major traffic junctions of the city. Among the additional services - water procedures, good cuisine, professional massage. PRICES MAY CHANGE, YOU NEED TO RECEIVE INFORMATION FROM THE OPERATOR! Description of the room: The one-room double room has a balcony. Next to the rooms is a bathroom and a bathroom. Entrance from the common corridor. Description of the room: Next to the rooms is a bathroom and a bathroom. Entrance from the common corridor. 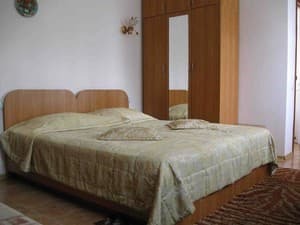 All rooms also have 2 local ottomans and cupboards with crockery. Description of the room: 2 separate rooms on the 2 nd floor, entrance hall. In each room there are 2 beds, a double sofa, a table, chairs, cabinets, a wardrobe, a mirror. In the hall there are 2 floors, upholstered furniture, a large TV set, an administrator's room. Description of the room: Three-room apartments are on the 3rd floor and have a separate entrance. 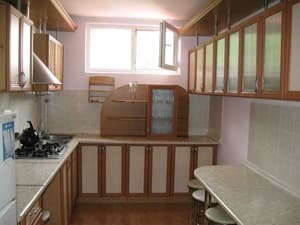 The kitchen is equipped with new furniture, washing machine, gas stove, dishes, hood, long rack and chairs. 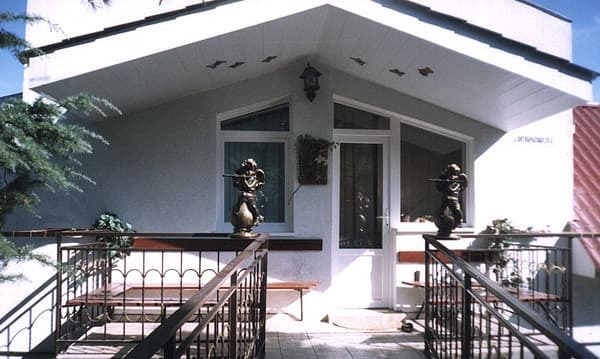 The villa is located in the very center of Alushta, the distance to the central beaches is 600 m, the bus station and the market - 300 m.
Simferopol - 45 km, Yalta - 41 km, from the railway station of Simferopol by shuttle bus to the bus station of Alushta, then by taxi to the hotel.